Many people during the course of their lives, have experienced moments that remain imprinted on what I like to call our photographic senses. We often catch glimpses of pictures and visuals that help reawaken the images in our mind. Even though each one of us views a picture differently, for some it can help rekindle and bring back to life a special moment or at least give shape to a future journey. My images have captured milliseconds of life and hopefully will give the viewer a feeling of breathing along with me. I was brought up to pursue my dreams, and work hard towards my goal- which has always been in education. While pursuing my B.S. degree, I chose to take photography 101 as an elective, never thinking it would change the way I viewed life. Through a great instructor, and hours of trial and error, I was able to gain experience in the darkroom. With this strong foundation, the way I viewed the world was forever changed. I see a lot of really good pictures. I wish you continue to enjoy the great joy of shooting. Great spending time with you on Mt. Rainier last month. I hope you enjoyed yourself and come back to the Pacific Northwest again soon. Can’t wait to see what you post and how you finish what I’m sure will be awesome images. Hey Chris… it was my pleasure and big thanks for taking the time to view my blog. That connection from photos to words is as important to me as I see in your work also. I happened to see you on another blog and it peeked my interest! I suffer from Agoraphobia with panic and viewing your beautiful photo’s make me feel I’m really outside enjoying all the wonderful places you have photographed! Thank you for that. You do awesome work! I’m a new follower, and I’ll be here often, if that’s OK with you!….LOL. Great… glad to have you… sorry it took so long but i’m traveling now. Wish I was traveling…..LOL. Look forward to your posts! Your photos are awesome…inspirational! I take photos, won’t say I’m a photographer, but enjoy it just the same. That is the way it should be… have fun with it and ejoy what ever inspires you. Many thanks for the visit and comments. Hi Mike! I’ve given you the One Lovely Blog Award because your blog is a delight to my eyes and an inspiration to my spirit. I hope that you will consider this a big thank you and pay it forward to someone who delights you. If you aren’t into this sort of thing, then just know that someone out here admires your work. Bro, the things you see and capture serves as an inspiration for us all. The world needs to have a piece of hope after all the tragedies it went through such the recent horror in Boston. Thanks for sharing a piece of light for others. Photography can indeed change life, the way of looking and experiencing it, the way of living it.. Great and inspiring pictures and blog! Big thanks for the visit and comment…. much appreciated!!! There have been way too many moments in my life when I wished I had a camera on me but hadn’t. Like that sunset over a bleak Quebec winter scene in 2003 while I was driving towards a village. The sky was strewn with tiny, dark grey clouds which first turned pink and then dark sanguine before they slowly changed back to pink. Driving towards the sunset I had an uninterrupted view in which the changes happened within minutes. Out of the village angry, red flames shot into the sky, or so it seemed, and then I arrived and it was all over. But… it will be forever imprinted on my retinas. Your ‘photographic senses’ sparked off this memory. Many thanks for the visual in your writing!!!! Mike that was a helluva workshop you participated in last Saturday Winning Photos. i greatly appreciated you taking time to share your art and expertise; believe me I know how valuable time is these days, especially at my age – having way more past than future. 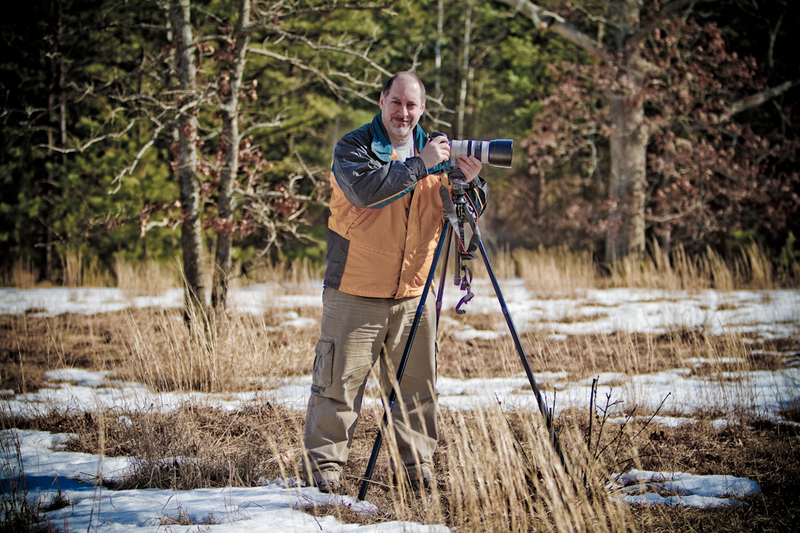 As a new member I have years of experience in shooting, developing and printing and now, I’m in the digital age. Thank you again and hope to talk w/you in the future. Bob … really appreciate the kind words. I really believe we should all give back a little of what made it easier for us to do something. Email me anytime!! Hiya Mike, simply stunning images, thanks for sharing. Thanks so much for visiting my blog. Hope summer is treating you well. i like your photographs very much. Thanks so much for the visit and follow… I try an post twice a month, so stay in touch and let me know what you think. I see you’ve already been nominated for a “Versatile Blogger Award.” I mentioned you, too, in this morning’s post: http://bit.ly/FQO6fc Great blog! Cathy … thanks so much… still trying to figure out how you are going to do your yearly project. I will be following along with you!!! Hey Lavie… thanks so much for the visit and supportive comment…love your site too!!!! Hey Mike, fixed the link on the 7×7 award post. Sorry about that. Awesome photography! Your work literally ‘dances’ in your photo expression(s) — very gentle yet steadfast. Keep inspiring. Cheers and blessings for the new year to you. Thank you so much for your comments…. I left a a more detailed reply on your blog. Yes, I got the comment — very lovely and I am humbled. We shall surely ride the journey by feeding encouragement and inspiration to continue sharing our daily existence and experiences attached to individual journey. Keep clicking, dear friend. I have nominated you for the Kreativ Blogger Award because your pictures inspire me. Check my blog for specifics! Have a magical holiday, my friend! I have never tried photography, but your skill at capturing unique moments is unparalleled and makes me want to give it a try. Thank you for following! I believe you are a very talented photographer, all your pictures are always breath taking… i love your blog..Thats why i have put you in my list of the versatile blogger’s awards.. Thanks Abby… it’s an honor coming from someone who writes so eloquently. This is Eli Simon I am the other owner of ACS. I read your post and think it is great. Would it be OK if we posted it on our blog? I hope the rest of your summer went well. Eli… not a problem at all…post away. Had a blast with Pete!!! What a cool idea for a blog. I live in the state forest and can bike everywhere,thats the good news. Bad news is it would take 2hrs by bike to reach a small town 🙂 Thanks for you comments. Inspirational… what a nice thing to say. I feel humbled. Thanks Nav.. I hope to be posting 2 times a month. I am glad you are going to pick up your camera. Inspiration goes both ways…make sure you share with me. Thanks so much Nav. I will be trying to post a least 2x a month depending on travel and certain destinations. The shots you remembered are very special to me also. Wonderful to see your images of a creation far beyond even our imagining. I am from Mukilteo, Washington, but working in Saudi Arabia and so the images you capture give me a wonderful glimpse of home. And, remind me of how much I love it! Hope you are having a good time and I am glad to bring a little of home back to you. Wonderful to see your images of a creation far beyond even or imagining. I am from Mukilteo, Washington, but working in Saudi Arabia and so the images you capture give me a wonderful glimpse of home. And, remind me of how much I love it!